The two types of absence that can affect your working relationships are your own absence and that of others, including colleagues on your team and your boss. 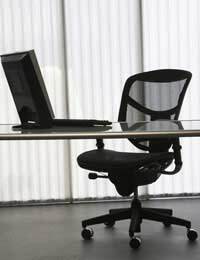 If you are ill or required to be absent from work for any reason, it is preferable that you are able to leave a cleared desk and an up to date workload. Of course this is not always practical if you are taken ill or need to take emergency compassionate leave, but if you can have organised your task list before you leave the office it will be both less stressful for you while you are away and when you return and for your colleagues who will need to maintain your workload. Depending on the nature of your absence, you may be able to telephone or email your colleagues, or be available to answer questions if needed. If you are not well enough or in a difficult situation, do not feel as though you need to be in contact with your workplace, it is only an ideal situation. If it is a colleague of yours that is absent from work, you may be experiencing difficulties in dealing with their workload. What can happen in these situations is that, because it is not clear how long they will require away from work, other colleagues in their team are just expected to ‘muddle through’. This is acceptable in the short term, or indeed until something goes wrong. This may be a meeting or deadline that was forgotten or a client calls expecting something which no one was aware of. If you are able to contact your absent colleague, they may be able to guide you through the issue remotely, although, again, if they are too poorly it would be insensitive to request help for work issues at this time. The resources may be available to have a temporary member of staff for a period of time. You may find that it is more effective for your office to have the temp work on another desk and have a more experienced member of your team work on the absentee’s desk, so you are able to oversee them. If you or your colleague are just on annual leave, make sure that you are all clear on what stages their projects are at before they leave, with any possible information concluded beforehand. It is irresponsible to leave outstanding work when going on holiday, especially as the holiday is likely to have been booked long in advance. When the absent person is your boss, there may be a range of issues to deal with. The first day or so can be an enjoyable, more relaxed environment but it is wise to maintain a hard working atmosphere as the time will soon pass. There can also be problems of responsibility when the boss is on holiday, especially if situations arise that they would normally deal with. Request that a structure of command and responsibility is agreed before their holiday, with an emergency number to reach them on, if at all possible.